Tucson, Arizona: Deer's Run Press, 2005. Edition of 25. Volume I, A Fable, written by Curt Dornberg, printed in 14 pt. Papyrus with the Epson 2200 on Somerset Velvet paper over digitalized drawings by Margaret Suchland, in a codex format. 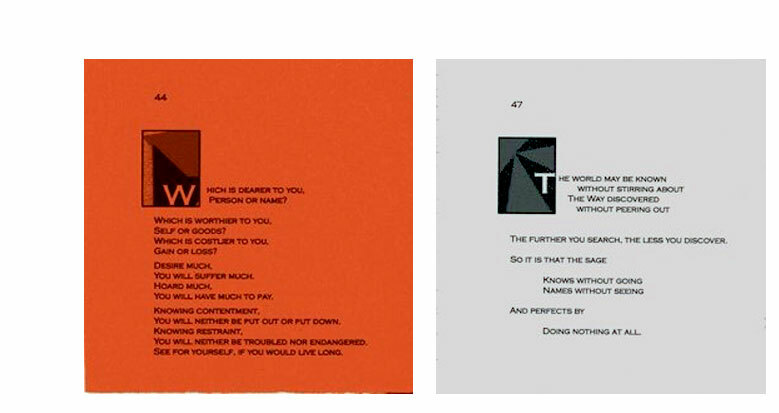 Volume II, Suite of Prints by Margaret Suchland. 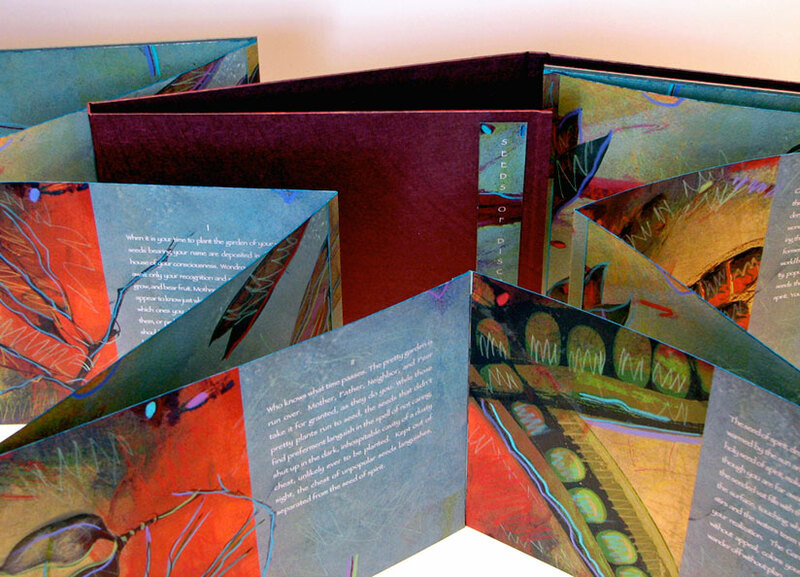 Pigment inkjet prints of monotypes with collages of desert seeds and seed pods, in an accordion format. Volumes I and II bound and boxed by Curt Dornberg using papers designed by Margaret Suchland and printed on Rives lightweight papers and in silk over board. Dornberg writes the text and is the bookmaker; Suchland is the artist and book designer. The text is a fable using the trope of gardening to represent human life and seeds as human potential: "When it is your time to plant the garden of your world, seeds bearing your name are deposited in the storehouse of your consciousness. Wondrously potent, they await only your recognition and embrace to germinate, grow, and bear fruit...."
Curt Dornberg: "I have chosen to pursue multiple dimensions of the book, first as a reader and teacher of literature, later as a book worker and box maker. I have most recently drawn these pursuits into artists’ books of my own composition and design, writing and/or editing, printing, and binding them in my own handwoven fabrics and marbled or paste papers. I am fond of exploring the processes of working collaboratively and in multiples." Tucson, Arizona: Deer's Run Press, 2006. Edition of 25. 11 x 7.5"; 8 pages (unpaginated). Double-sided accordion. Printed in 14 pt Papyrus with the Epson 2200 on Somerset Velvet paper over pigment inkjet prints by Margaret Suchland of monotypes with collages of desert seeds and seed pods. Handwork in colored crayon and pencil. 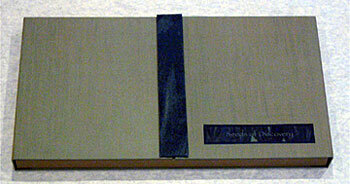 Bound in an accordion format with covers and wraparound case of Moriki papers over board. 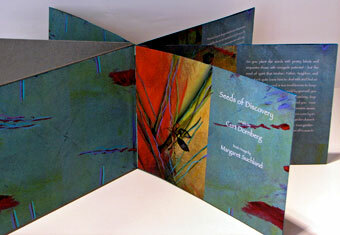 Housed in tri-fold paper covered boards with vertical paper title on front board. In this version of the two books the original Seeds of Discovery are combined so that text and image interweave. Suchland's vibrant images animate Dornberg's organic fable. Tucson, Arizona: Deer's Run Press. Edition of 25. 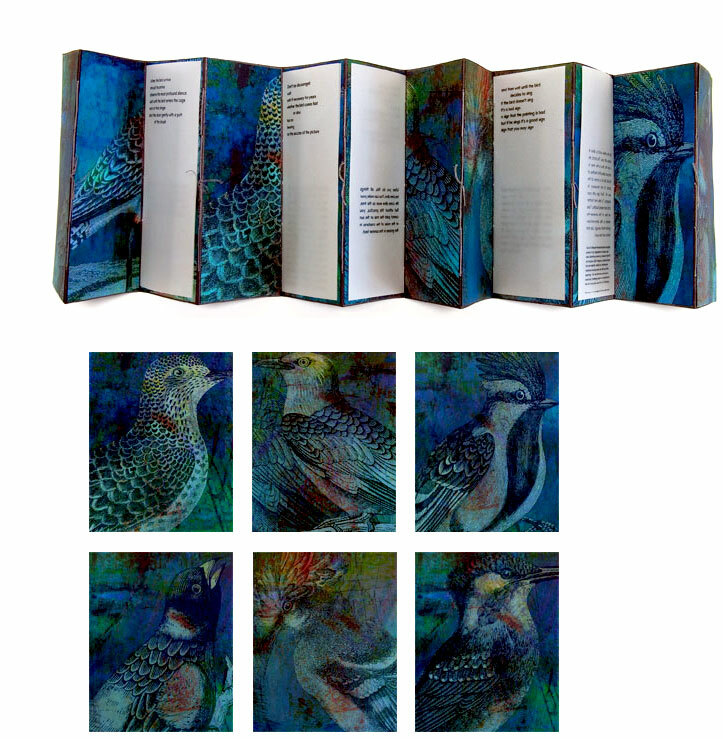 Four volume boxed set. Each volume 6 x 6î, approximately thirty pages. Printed in Copperplate Gothic on Hahnemule Bugra with the Epson Stylus Photo 2200. Hand sewn and case bound. 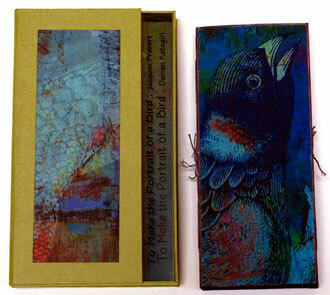 Case covered in paste-paper made with Hahnemuhle Bugra. 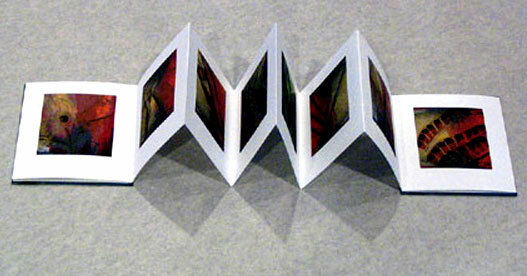 6.5 x 6.5 x 2.5" box covered and lined with pastepapers to complement the four volumes. Top of box inlaid with handwoven fabric of flax paper and cotton. Illustrations developed in PhotoShop from fifteen thumbnail sketches and collages. 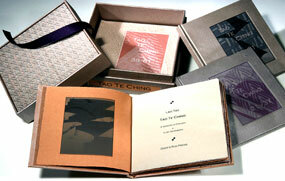 This English version of "Tao Te Ching" produced by Curt Dornberg is printed and bound in a boxed set of four volumes: poems 1 – 20, 21-37, 38-61, and 62-81. "Tao Te Ching" has been included in the Best of the West show organized by the Handweavers' Guild of America in conjunction with Convergence 2004 in Denver, June-July 2004, as well as the “Bound/Unbound” show at Tohono Chul Gallery, Tucson, January 2005. Rather, do your work well, then retire. Tucson, Arizona: Deer's Run Press, 2007. Edition of 25. 5.5 x 9.5 x 1.375"; 23 pages. Double accordion structure. Fragments of Suchland's luscious prints tipped onto the main accordion structure with vellum pages containing text and commentary sewn into the valleys. Digitally printed on an Epson 2200. Text in 14 pt Eaglefeather on Glama clear vellum. Digital prints on Somerset Velvet PE. Text and prints hand-sewn and bound in hand-dyed Stonehenge paper. Housed in paper-covered drop-spine case. Poem by popular French poet Jacques Prévert (1900 - 1977) translated from the French by Harriet Zinnes. (Lawrence Ferlinghetti did a 1970 translation.) The poetry is accompanied by commentary by Dainen Katagiri (1928 - 1990), the first abbot of the Minnesota Zen Meditation Center. Illustration by is by Margaret Suchland. Image, poem, and commentary alternate to build a subtle demonstration of how to make a portrait of the bird – or of how to achieve oneness with the vastness of the universe.